Image Credit: Courtesy of OAC Services. 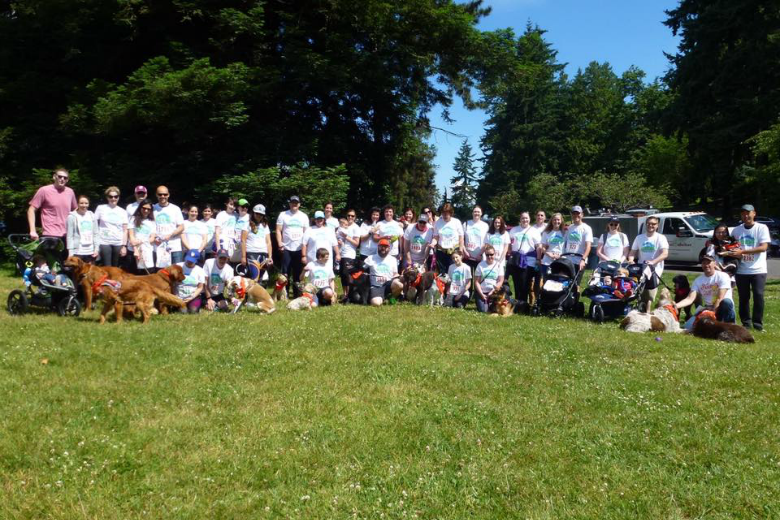 OAC raises the most money for the Seattle Animal Shelter at the Furry 5k. OAC Services has been an impressive leader in the Seattle community since 1955, and continues to adapt to evolving client needs while maintaining a dedication to its employees and to giving back. OAC is a multidisciplinary services firm that provides construction management, and forensic architecture and engineering services to clients in Seattle, Olympia, Everett, and Spokane, Washington; and San Jose, San Diego and Los Angeles, California. With a set of core values that puts community and integrity front and center - “cultivate love – generate energy – inspire audacity – provide proof”- OAC has once again made Seattle Business magazine’s 100 Best Companies to Work For, as well as Puget Sound Business Journal’s list of Washington’s Best Workplaces in 2017 and 2018. OAC is growing, and it’s easy to see why. The company’s commitment to employee wellbeing, communicative leadership, and a strong sense of teamwork and purpose creates a company culture that is hugely valued among its 120-plus employees. In fact, OAC recently moved from South Lake Union to a hip, industrial open-plan office space in SoDo that is designed to further encourage collaboration and creativity. OAC’s Core Values emphasize humanity and connection, leading to a supportive workplace culture that balances hard work with lots of play. “I have always loved working here and my love continues to grow daily as OAC continues to concentrate on its culture, and nurture and care for the people within it,” mentions one employee. Even with such a cool work environment, everyone needs time for life outside of the office, which is why so many of OAC’s employees are grateful that the company values work-life balance and an open mind towards innovative structures, such as working remotely. Image Credit: Courtesy of OAC Services. OAC reaches 100 employees. At OAC, “everyone feels included.” One employee emphasized this: “The work environment is open and engaging, and promotes and values our diverse backgrounds and opinions.” This is based on OAC’s mission to attract the best people to their team. Great company culture wouldn’t be possible without great leadership, and the staff at OAC is especially glowing about theirs. “From my perspective OAC is truly supportive of all its employees. I've worked for many companies that pretend to care, but rarely follow up with actions. OAC is different. They listen to their employees, provide opportunities and reward good work.” This emphasis on OAC’s sincere action toward employee wellbeing is a common thread in employee reviews. Image Credit: Courtesy of OAC Services. OAC rope training. Image Credit: Courtesy of OAC Services. Even a bridge inspection is fun at OAC. Learn more about careers at OAC Services at oacsvcs.com and find out more about WA's 100 Best Companies to Work For in 2018.